The Florida Board of Pharmacy is responsible for not only ensuring that pharmacists and pharmacist interns meet certain minimum requirements before being able to practice their profession and dispense medication, but it also issues the permits necessary for pharmacies to open and operate. Operating a pharmacy and/or dispensing prescription drugs without a pharmacist license can result in severe sanctions and (potentially) criminal charges; for this reason, those who wish to open a pharmacy in Florida and/or practice pharmacy are well advised to seek the appropriate licenses and/or permits from the Board of Pharmacy. However, what happens when the Board declines to issue a license or permit, or moves to revoke a previously-issued license or permit? In this case, you need the assistance of our Tampa Pharmacist License & Pharmacy Permit Lawyer at the Law Offices of David P. Rankin, P.A. to help you obtain the licenses and permits you need to operate your pharmacy practice. Does the Board of Pharmacy Regularly Deny Licenses and Permits? The pharmacist has engaged in unethical, unprofessional, and/or criminal conduct. Similarly, the Board may decline to issue or renew a permit for a pharmacy that employs unlicensed pharmacists to dispense medications, that fails to apply for renewal of its permit on time, and/or that has been the subject of allegations of misconduct. The Law Offices of David P. Rankin, P.A. recognizes the seriousness of having a license and/or permit denied by the Board. In some cases, our firm is able to resolve the issue by helping the applicant or business provide the records and information the Board needs to amend its decision. In other cases – especially in situations wherein allegations of misconduct have been brought against a pharmacist and/or pharmacy, our firm is dedicated to successfully resolving your matter in a prompt manner. 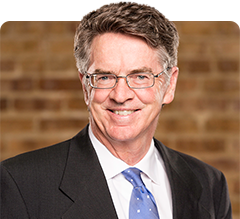 For over 30 years, attorney David P. Rankin has been involved in professional licensing and permit disputes and has worked both sides of these disputes. This enables him to prepare a thorough plan to resolve your matter and help you obtain your pharmacy permit and/or pharmacist license. When you have been notified that the Board of Pharmacy is refusing to issue a requested license or permit or is investigating complaints of misconduct against you, you need to call the Law Offices of David P. Rankin, P.A. as soon as possible. Early and timely action in your case increases the chances of a quick and satisfactory result. Call our Tampa Pharmacist License & Pharmacy Permit Lawyer at (813) 968-6633 or contact us online today for help.